There were many snowy days last week and when it all added up, the storm total from Monday-Thursday was 50-inches–an Alta storm by any standard! Winter season is here and starting with more storms this week. It looks like another 2-3 feet through Wednesday and then another storm coming in Christmas–exciting stuff if you’ve been holding out for powder skiing. 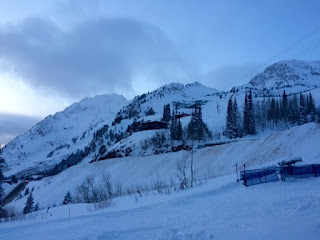 Evening light is special at Alta and here are a couple of images from last week. 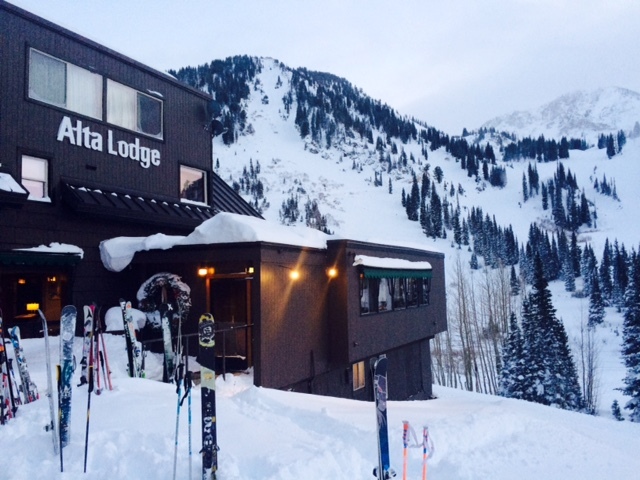 As you can see, it is full on winter at Alta.